We provide speedy installation of mirrors, artwork, sculptures, towel bars etc in the Naples Florida area. Our clients include galleries, frame shops, interior designers, and homeowners. Guaranteed and affordable. 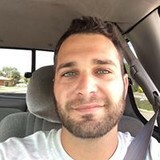 Local handy man knowledgeable in many areas! Have a question? Please feel free to reach out to me. Apex was established in 2012 and we have been proudly serving our southwest Florida and Fort Myers community with the best home services a company can provide. Apex has had a proven track record of growth. We have been mentioned in Naples newspapers, won awards, and has consistently grown since our founding year after year. We have provided services for multiple well known commercial clients including: Fort Myers Office depot, Fannie mae, Bank of America, Aunt Annie's Pretzels and recently Marriott Suite. We take care of your To Do List, and watch your home while you are away Naples Residential Services is licensed and insured and offers full service home repairs, maintenance, and home watch Serving the Greater Naples area, we provide a high quality handyman service, that’s safe, reliable and dependable No job is too small! We tackle large or small projects promptly and efficiently. Welcome to Emil's Services, LLC. 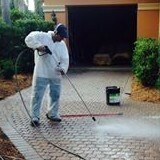 We are a local company, licensed and insured serving Greater Naples area. We specialize in assemble furniture, assemble gas grills, change light bulbs, clean and change ceiling fan blades, clean garages, clean gutters, hang pictures, install garage organizers, pressure clean driveways and walkways, screen repairs, replace caulking, replace door handles, severe storm preparation , and everything that is on your to do list around the house. We strive to make you happy and give you the outcome you’ve paid for.Customer first has helped us become a leading home repair business in our area. Vrooman Home LLC offers a variety of services & smart home solutions in Southwest Florida. We have earned a reputation for excellence, proudly serving customers in Bonita Spring, Estero, Naples Park, San Carlos Park, Golden Gate, Fort Myers Beach, Naples, Cape Coral, Fort Myers, North Fort Myers, Marco Island, Sanibel, and Boca Grande. We offer smart home set up & automation, handyman services, custom accent/feature walls, TV wall mounting, bathroom remodeling, home remodeling services, home theater setup, mirror & artwork installations, furniture assembly, custom projects, and more.. 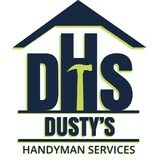 If you’re looking for home repair or have odd jobs that need doing book an appointment today! Behind Vrooman Home's success is the belief in the principles of Honesty, Quality, and Timely Completion. That is the Cornerstone of Success & the Benchmark for Customer Satisfaction. We Strive for outstanding craftsmanship and to provide the best service possible. Homeowners can be assured of making a wise decision when choosing Vrooman Home. Repair King Construction has provided all of your home improvement needs for 17 years. We are able to handle small home repairs to larger projects, and offer 100% satisfaction guaranteed. Home Improvement Professionals. Reliable and personable home service professionals can be hard to find these days, but Mr. Handyman makes it easy. Our experienced craftsmen are trained experts and can help with a variety of services. Whether you need help installing drywall in your home, or repairing the floors of your business, our home improvement professionals have got you covered. We have helped over 1 million customers, and we guarantee all of our work will be done right the first time. Contact Mr. Handyman today to discuss your project. REC Solutions is a family-owned home repair/renovation business, serving residential customers in the southwest Florida region(Ft. Myers,Cape Coral, Bonita, Naples). We treat every job with the highest level of professionalism, courteous service and attention to detail. We are eager to help you with any/all of your home projects as well as build lasting relationships. So, for home repair jobs of every variety, please give us a call or text. Open and honest communication is the best foundation for any business relationship. By treating customers right every time, you end up with a great reputation, good work ethic and great customer service. 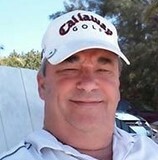 What can a local Marco Island handyman do? While home handyman services in Marco Island, FL usually cover most of these things, sometimes it’s better to hire a specialized professional so do certain jobs, especially if it’s related to major plumbing or electrical fixes. Here are some related professionals and vendors to complement the work of handyman: Heating & Cooling Sales & Repair, Plumbers, Electricians, Roofing & Gutters. Find a Marco Island handyman on Houzz. Narrow your search in the Professionals section of the website to local handyman servicesin Marco Island, FL and read reviews and ratings to find one that fits your needs.